Dr. Jennifer Bundy grew up in Roswell, NM and loves the Southwest. She attended Texas Tech University in Lubbock, TX and graduated with a B.S. degree in Cell and Molecular Biology. After first investigating the medical profession, she decided dentistry was her true passion. She earned her Doctor of Dental Surgery, D.D.S., degree from the University of Missouri Kansas City School of Dentistry in 2008. 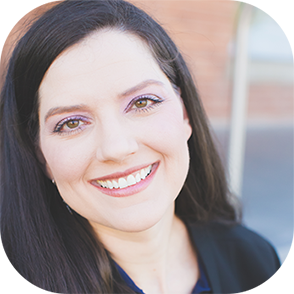 Following dental school, she went on to complete an Advanced Education in General Dentistry (AEGD) at the University of New Mexico School of Medicine in Albuquerque, NM. This is a one year residency program focusing on all aspects of general dentistry as well as hospital cases and treating medically complex patients. She moved to Scottsdale in 2009 where her husband and his family have lived since 1987. Dr. Bundy prides herself in the patient connection and helping them feel at ease and comfortable. She is patient and a good listener while also being attentive to her patients’ needs. Finding the right healthcare provider is important and Dr. Bundy wants you to feel confident in your choice. She also strives to provide the highest level of dental care by attending numerous continuing education courses, study clubs and staying current on innovations in technology. Outside of dentistry, Dr. Bundy enjoys spending time with her two young children and husband. She also enjoys her cat and outdoor activities, like hiking and swimming. She also loves doing ceramics, reading and being involved with the community. Dr. Millet attended the University of Houston for undergraduate coursework followed by dental school at the University of Texas in Houston. The Dental School is located in the Texas Medical Center, the largest medical center in the world. As a result of the large number of patients seen, Dr. Millet had the opportunity to observe and treat a wide range of dental conditions. 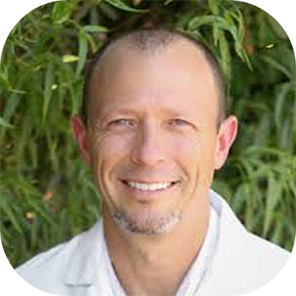 After graduating in 2005, Dr. Millet has kept current by taking countless hours of continuing education courses. Dr. Millet refers very few patients out of the office for procedures. With the exception of extreme cases, procedures such as: Extractions, Root Canals, and Dental Implants are performed in his office. Not being shuffled around between offices is something patients love! This has lead to being voted “Top Dentist” by his peers and review committee for multiple consecutive years. Dr. Millet’s goal is to treat everyone like family by providing dental care in a gentle, compassionate manner. He will never recommend treatment that is risky or is not expected to offer many years of service. Hobbies include: Hiking, Mountain Biking, Dirt Biking, and spending time with his wife and 4 children. Lois Harmon is Dr. Millet’s Administrative Assistant. 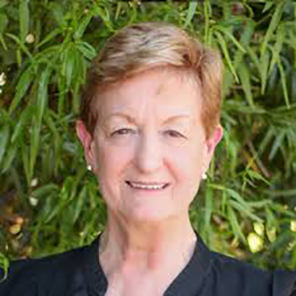 Lois brings to our practice over 30 years of experience. Even with all those year, she remains excited to be in the dental field and meeting new people every day. Lois believes that “smiles change lives!”. She is a wonderful addition to our practice; patients look forward to seeing her every time they visit the office. Lois is originally from the Midwest, She has been in the Valley of the Sun since 1973. Lois has a cat named June that she enjoys very much. Her favorite TV shows are Project Runway and Top Chef. Lois has many friends and loves day trips throughout Arizona. She also enjoys spending time gardening and reading. We are happy to have Lois as part of our team. 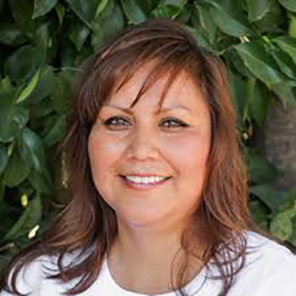 Sheryl has been a dental assistant for over 11 years now. She is the mother of four children, two boys and two girls. Family time and being in a job where she can help others are her passions. Sheryl especially enjoys getting to meet new people. Any free time she has is spent visiting her family on the reservation. Review our services, and then call our dental office today!